How to Remove Babylon Search??? Recently I’ve been pissed off by the Babylon Search Engine which accidently got installed in my laptop while downloading a movie from the internet. It made my life on internet such a hell that I don’t have words to explain. I’m sure a lot of you had faced, are facing or might face this problem in future. 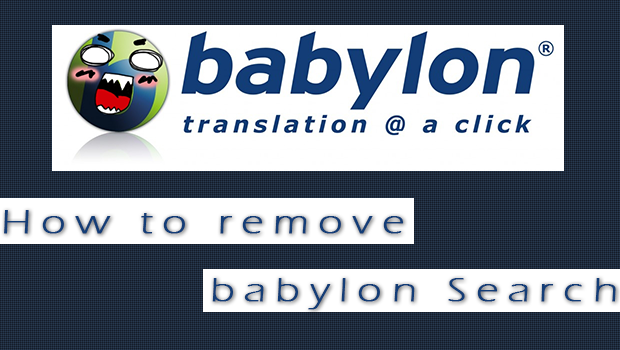 So today, I will explain how to get rid from the Babylon Search in Google Chrome. There go to “ADD/REMOVE” and select Babylon Search. In the Settings look for “SEARCH" heading and change it from Babylon Search to Google. Last again in the Chrome Settings look up for “STARTUP"heading there you’ll encounter three options. Here you’ll find your computer bearing Babylon Search, select “REMOVE BABYLON” and your computer will be free from Babylon Search. I hope you find the above mentioned procedure quite comprehensive and easy to learn. Hope, that this will do the trick for you!!! For those who still didn't understand this quick tutorial, I have screen cast which can guide you through all the steps on How to do it yourself. Responsive Design YES or NO Decision is yours!